The B979 will close between New Mains of Ury and Glenury Road in Stonehaven for three nights over this weekend, as part of the Aberdeen Western Peripheral Route (AWPR) project. The road will close each night, Friday May 26, Saturday May 27 and Sunday May 28, at 8pm and reopen the following morning at 6am. The road closure will allow the contractor to install telecommunication ducting across the B979 and undertake reinstatement surfacing works. Diversions will be signposted. 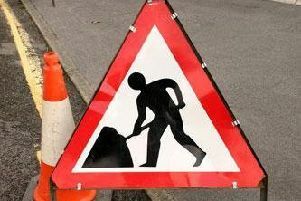 Road users heading north from Stonehaven should travel via the B979 David Street, Allardice Street, A957 Bridgefield, Dunnottar Avenue up to Glasslaw Junction. They should then turn right onto the A92, known locally as the Coast Road, which leads to the A90. Road users heading south into Stonehaven should travel via the B979 New Mains of Ury before turning left to join the A90 heading north towards Aberdeen. They should then leave the A90 at the Newtonhill flyover junction and re-join the A90 heading south, which will allow them to exit at Glasslaw junction back into Stonehaven, where the A90 meets the A92 (the Coast Road). There will be no access to the new southbound slip road to the A90 from the B979 at Mains of Ury. A contraflow, which has been in place on the A90 since March 2017, will stay in place while these works are underway. Access will be maintained for pedestrians and cyclists, who will be asked to dismount. A Transport Scotland spokesperson said: “This coming weekend will see the temporary closure of the B979 between the AWPR/B-T project offices and Glenury Road at Stonehaven.